Besides the little blue box (and what’s inside of it of course) one of my favorite things about receiving a gift from Tiffany & Company is their signature bow. I have never been able to recreate the signature Tiffany bow- that is until now. Over the weekend my mum sat down with me and I took pictures as she recreated the iconic bow on Christmas presents. The bow is actually really simple to create with the steps below. 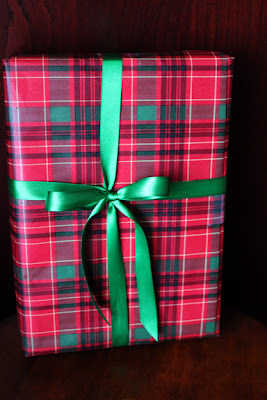 Step 1: Leaving at least half a box's length of ribbon at the bottom of the box, place the ribbon at the center of the bottom of the box and hold with your thumb. 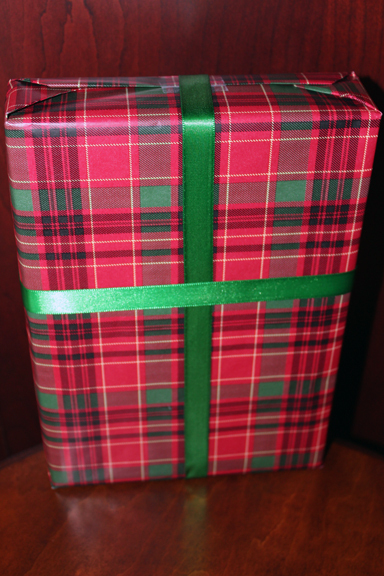 Step 2: Wrap the ribbon once around the box. Place the second piece of ribbon under your thumb as well. Step 3: Fold the ribbon over your thumb to go around the box at a 45 degree angle. Keep going until you go around the box once. 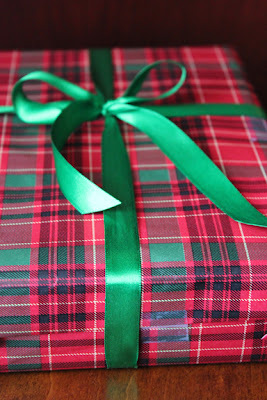 Step 4: Tuck the ribbon under and back across the ribbon you were holding with your thumb. Step 5: Center and tighten the ribbon. Step 6: Now just like you learned in elementary school make two "bunny ears" and tie them together. Play with your bow until you like how it looks.